The Telescopic Back Scratcher hits the spot like no hand can! 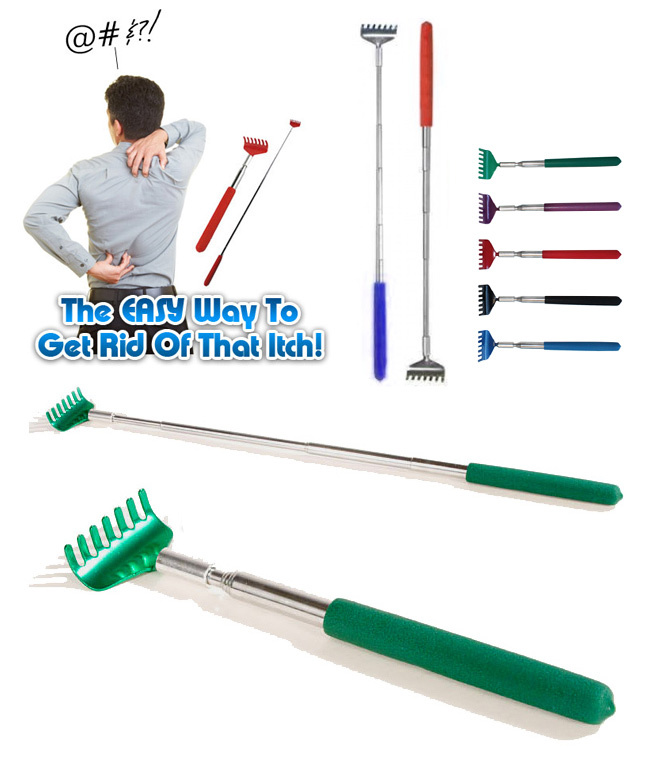 It makes it easy to reach all parts of your back or anywhere else that needs a good scratch. Made of quality materials and with a soft grip, it extends to a whopping 50cm. Please click if you wish to see demo videos of similar products. NOTE: the videos above are for demonstration purpose only, the actual product might be slightly different. Lets you scratch were you can't reach! A perfect gift for a friend who could use an extra hand!